Ghana’s President-John Dramani Mahama has told a DW reporter that, his service to Ghana is out of goodwill and that no member of his family or himself has benefited from him being a President. Ahead of the next week’s Ghana election, the President was asked whether he wants to remain in power because of the goodies that come with the presidency. In his reply, he stated that apart from his small presidential salary which is below how much a lot of his mates in private businesses take each month, there’s nothing more he receives and therefore his dedication to Ghana is so that the country will become prosperous for ordinary people to benefit. “No one in my family or myself has benefited from my presidency. 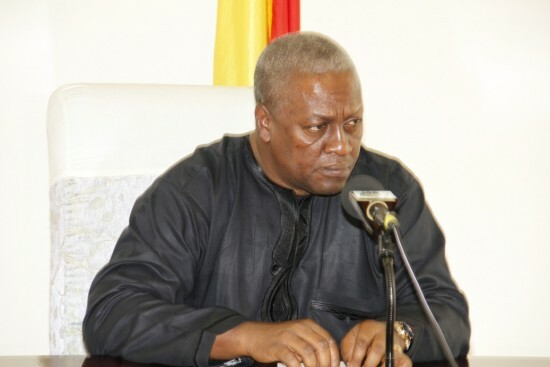 Everything we’ve received are things we would have gotten even if I was not a president,” President Mahama said.